Yesterday we packed up our gear in Kerala and flew to Delhi. We spent five weeks in and around Kochi, the spice capital of the world. Christmas was horribly awesome, we went to see a Mollywood film, checked out Kerala’s first library and paid a visit to one of Mother Teresa’s homes. We learned about tea production when we visited a hill station in the beautiful Western Ghats. We were lucky to fall in with a group of local Keralites that are involved in business and arts and culture. They took us under their collective wing, gave us art lessons and helped us learn about Kerala. They even lent us a unicycle. Delhi is a great city. We’re only here for a few days to see some old friends and we expect it to be a terrific stay. We are in a three-bedroom flat in South Delhi, within walking distance of the Central Market, the Khan Market and much else. From our rooftop we watch eagles and kites terrorize local pigeons. Parrots fly overhead at dusk on their way home to Lodi Gardens. 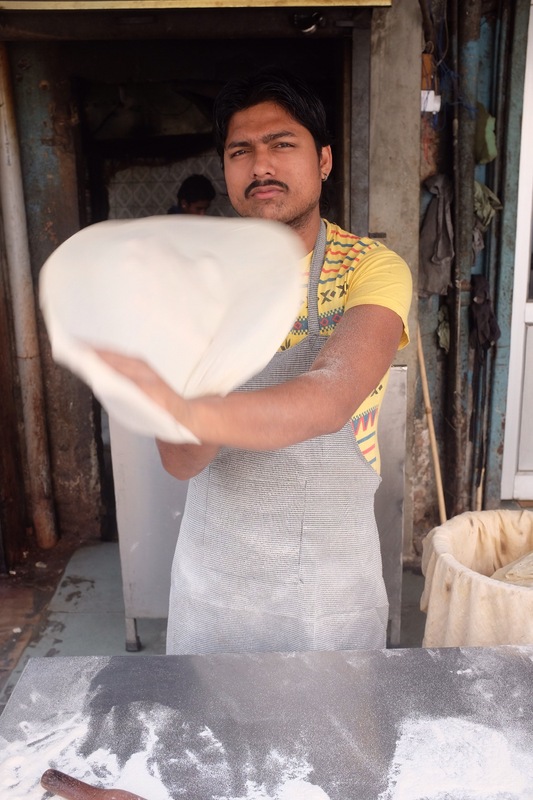 One of our favourite sights has been the local Rumali Roti Walla. He drips nonchalance. His rotis are also known as handkerchief rotis. Paper thin, they’re served nicely folded and could fit into a pocket. We arrived on Republic Day. It’s a big holiday in Delhi (kind of like the Fourth of July); stores are closed, most people are at home and there are fewer cars on the road. The parkette in front of our house erected a stage and the local kids put on dance routines. 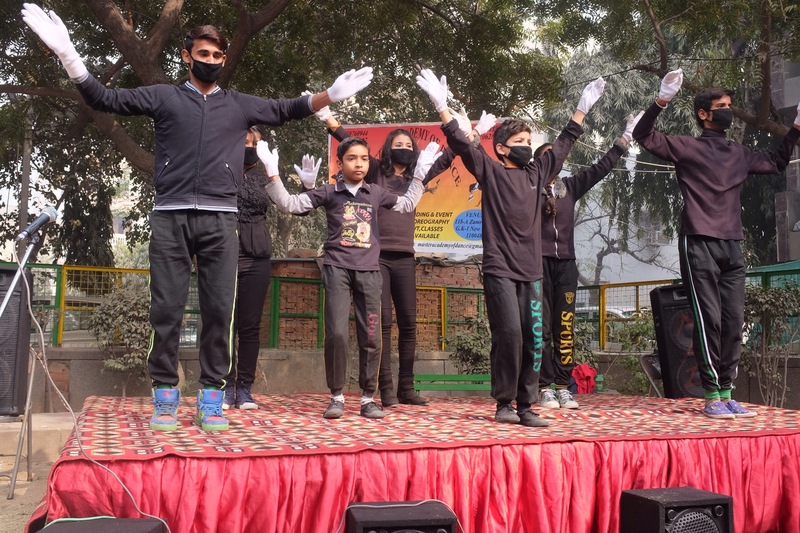 This group was the Pollution Dance Troupe, dancing in favour of a cleaner city. And there’s been a lot of talk about Delhi’s air recently. 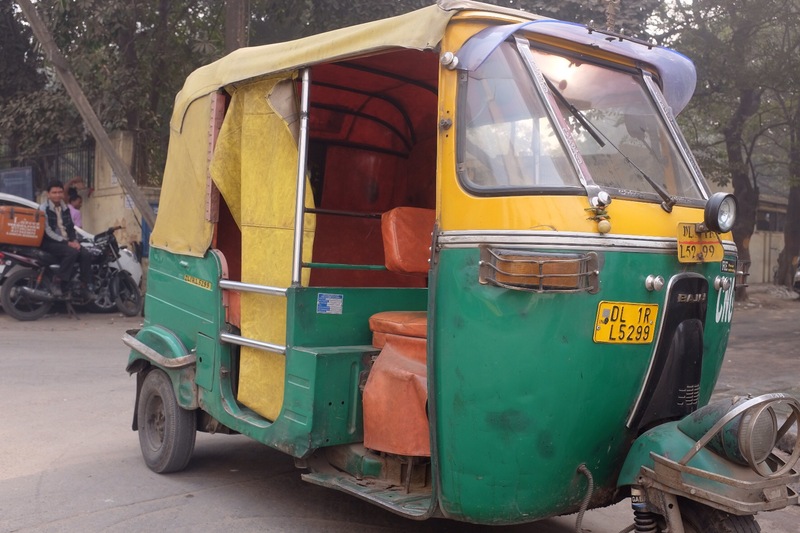 An earlier post about rickshaws mentioned that their two-stroke engines contribute significantly to air pollution. So do the rest of the Delhi’s cars, as well as the coal burning power plants and the garbage that burns in the streets. 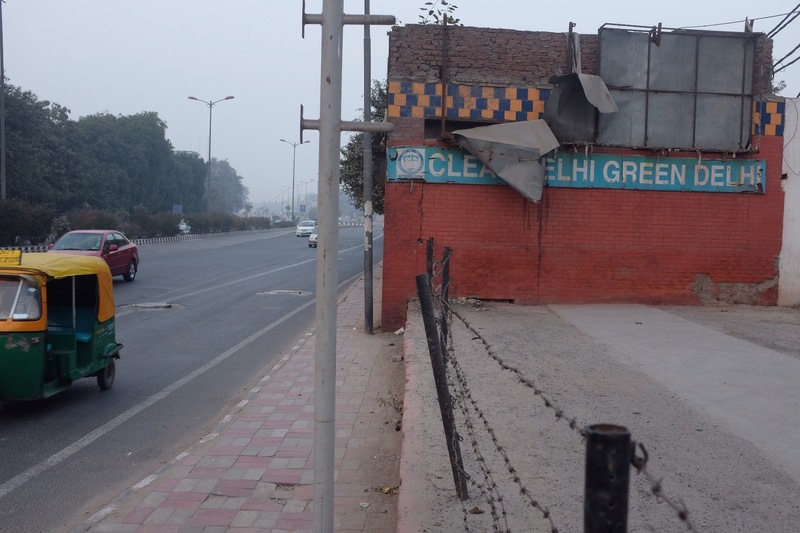 At least one study reports that Delhi’s air is among the dirtiest in the world. One can check local air quality at any given time here (at the time of writing, the air is simply unhealthy; yesterday the levels were hazardous). According to some estimates, air pollution is the cause of death of approximately 10,500 people in Delhi every year. 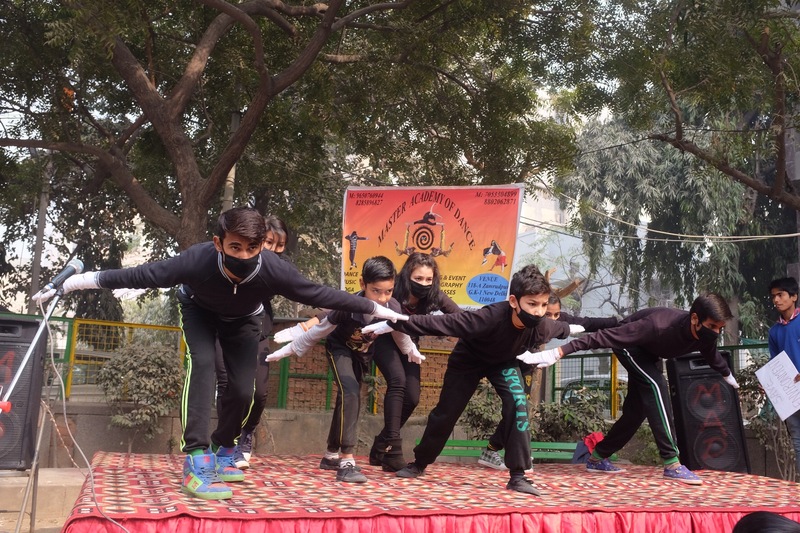 As a new year’s resolution, the Delhi government launched an odd-even scheme in an attempt to curb the pollution. On January 1st and other odd-numbered days, only cars with licence plates ending in odd numbers were able to ply the roads. On the 2nd and even-numbered days, cars with even-numbered plates were permitted on the roads. There are several exceptions: taxis, rickshaws and female drivers are allowed on the road regardless of the parity of their plates. The scheme continued for the first 15 days of the year and while the jury is still out on whether it helped clear the air, drivers appreciated the fact that traffic was lighter. The scheme will likely renew on March 1st; following some public consultations. Everybody here is talking about green in Delhi. Even the rickshaws are green! We were very kindly invited to the Canadian High Commissioner’s residence for tea. 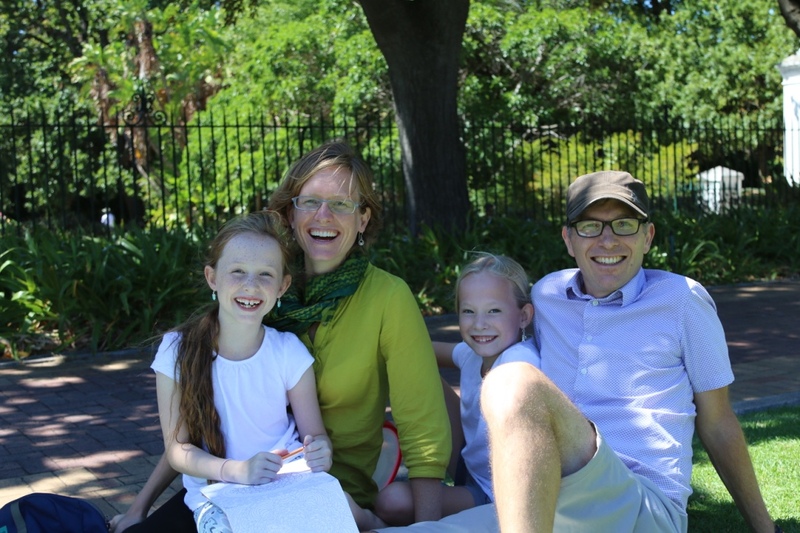 Saga and Ida were delighted with the green space and the opportunity to do cartwheels and somersaults on the grass. 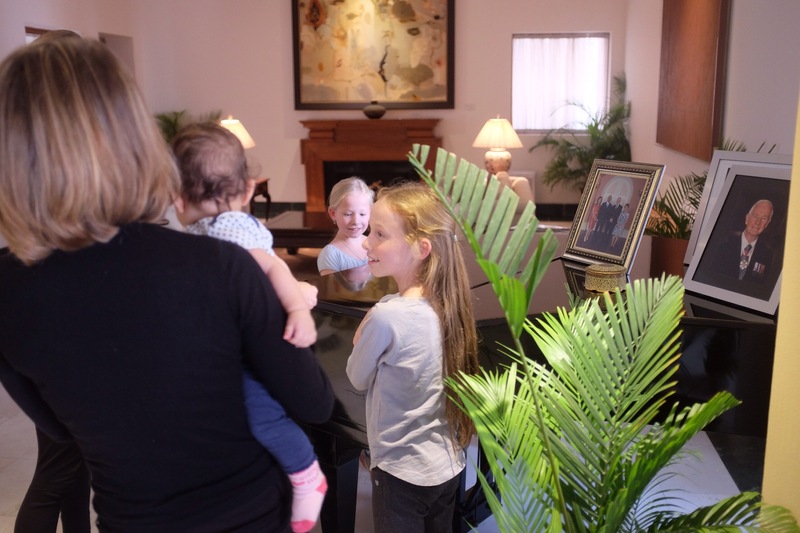 Ida spent some time on the piano. We also had some time to replenish our stock of books. 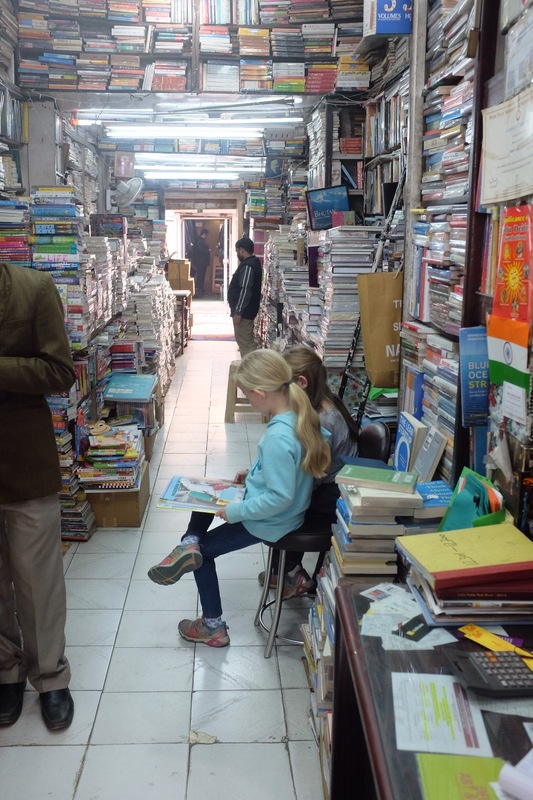 The girls were so comfortable at the bookshop that the owner suggested that we leave them there for the afternoon while Louise and I tour the city. 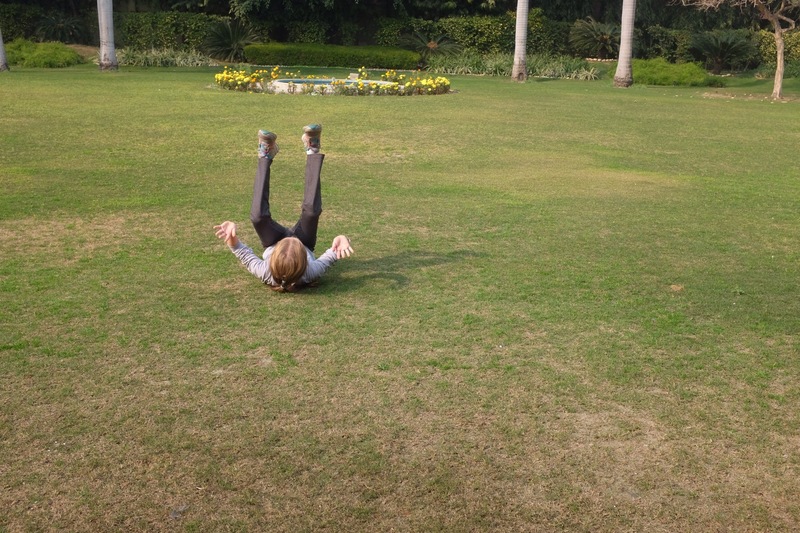 We soon board a train to Jaipur; more cartwheels in sight! 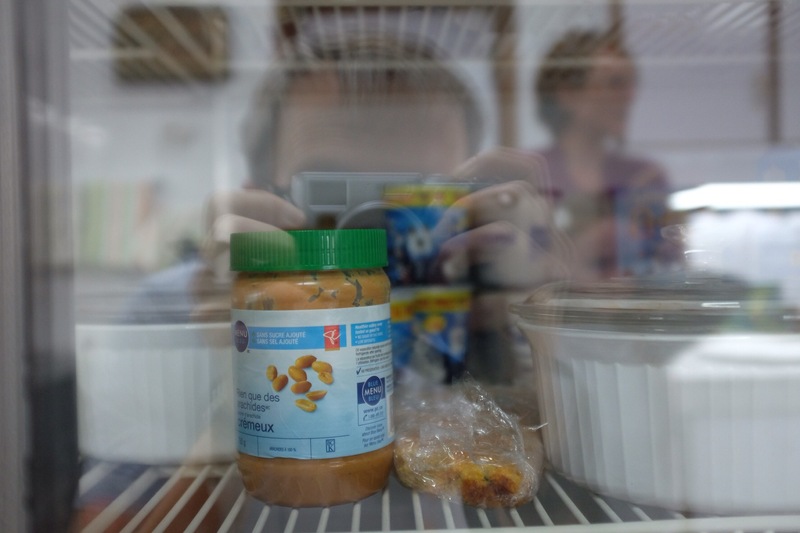 What a lovely post and blue menu peanut butter! A roti would be nice. Sure sounds like you are having a great time.